Well, I say bought; the NARS lippy was a Christmas present, and a very welcome one at that. 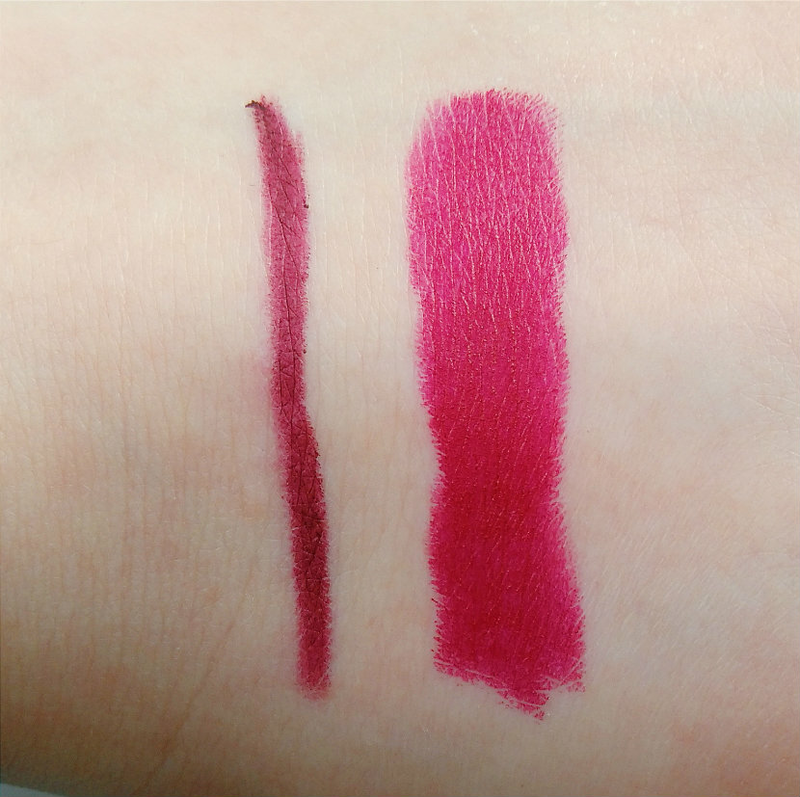 Regardless, I now have two more berry-coloured lip products in my collection and I’m loving life. The NARS Audacious Lipstick in Charlotte is perhaps the ultimate dark lipstick. An oxblood red, it’s dark enough to vamp up your look but not quite purple enough to be plummy — a more approachable take on the berry lip, if you will. Everything about it screams luxury, from the sleek black case, to the stamped bullet, to the magnetic close (that snap is so satisfying). The lipstick itself is luxurious too, applying smoothly and lasting for hours without drying out the lips. You do get that a loss of colour around the inside of the mouth when you eat but thankfully it doesn’t end up smudging all over your face, and it’s easy enough to top up. Basically, the Audacious lipsticks are lovely, and I should bloody hope so for the price. Meanwhile, I’ve been trying to make more use of lip liners but I also don’t want to spend a fortune on them, and that’s where Kiko comes in. 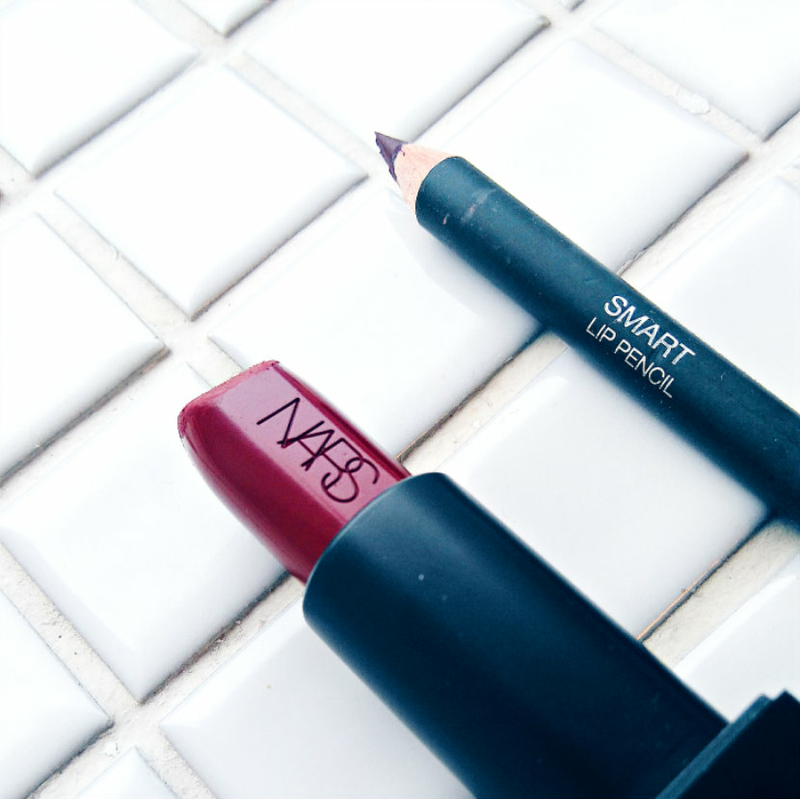 Their Smart Lip Pencils are a mere £2.50 each but do the job admirably. I have the shade 710 Rouge Noir and it’s beautifully pigmented. The formula is creamy and doesn’t drag, but it doesn’t go too far in the other direction and smudge, either. It sits really well underneath my favourite plummy lipstick, Matt Plum by GOSH, and I’m now wondering how I lived without it. Well done, Kiko! Are you like me, and obsessed with berry lips, or are you looking forward to the lighter colours of spring? Let me know in the comments! Note: Although NARS was a cruelty-free brand at the time of writing, they have since decided to sell their products in China as of June 2017 and therefore are no longer cruelty-free.